The fried chicken fast-food establishment, which boasts 4,200 restaurants across the country, says it will nix antibiotics from both its boneless and on-the-bone chicken. KFC joins a growing list of fast-food companies that have made food supply changes in response to consumer concerns about health. In 2016, a report by Chain Reaction II, a group of six nonprofit and activist organizations, gave KFC an “F” grade for its antibiotics policies and practices. 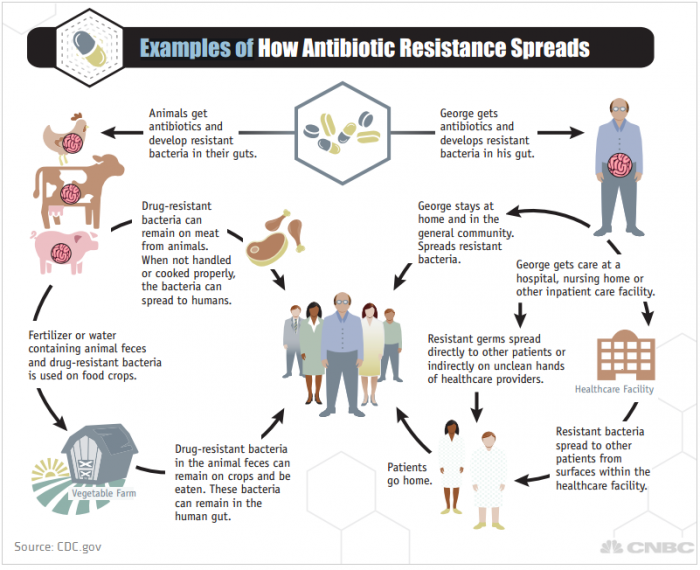 Antibiotics are given to farm animals for a variety of reasons, including treating sick livestock. However, farm animals are routinely given drugs to prevent illness and promote growth in filthy, stressful, and cramped conditions. The practice has given rise to antibiotic-resistant superbugs that could potentially send modern medicine back to the Dark Ages. Despite the threat posed by antibiotic resistance, U.S. sales of medically important antibiotics approved for use in livestock increased by 23% between 2009 and 2014. In recent years, numerous fast-food chains have either ditched antibiotics or pledged to cease using them in the future, including Wendy’s, Subway, Taco Bell, Chick-fil-A, and McDonald’s.